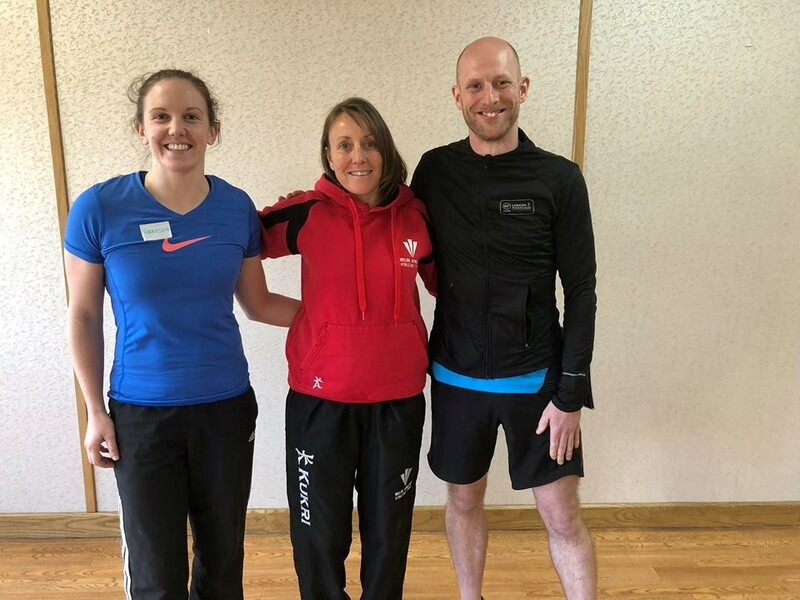 On Sunday 22nd April, Monross members Bobby Prichard and Vanessa Ball took part in the Welsh Athletics Leadership in Running Fitness award; held at the Abergavenny Leisure Centre. The Leadership in Running Fitness covers many aspects of running including; Motivational techniques, club development, training adaptions and many other principles to make running available for everyone no matter what fitness levels. The course was funded by a grant from the Sports Wales Community chest, this was applied for by Club Coach, Gavin Jones. 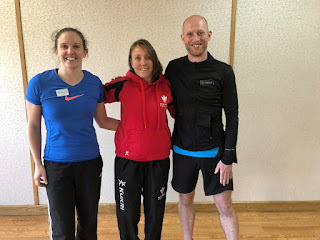 With the two new qualified leaders; Monross would like to support all potential athletes from beginners, to ex runners who would like to come back to the sport- no matter what their abilities. The club meets on Wednesday evenings alternating between Fernbank Road, Ross-on-Wye and the Doward car park, Near Whitchurch at 18:30. On Wednesday 25th April the club will meet at the Dowards car park, at 18:30. For more information check out www.monross-trailblazers.co.uk, or contact them at info@monross-trailblazers.co.uk . On Saturday 23rd September Luke James and Gavin Jones from Monross-Trailblazers took part in the Welsh Athletics- Leaders in Running Fitness award. This was a one day course which explored the principles of running, from motivation techniques to training adaptions; meaning that everyone can partake in running fitness. To raise the funds to get on this one day workshop, Monross Secretary, Luke James, had to apply through Sports Wales. This enabled the two members to go on the course which was ran at Pontypool Leisure Centre. The Monross group would like to use the new leadership skills in supporting: Athletes, new runners, and ex-runners who would like to come back into the sport; no matter what their abilities. The team are now looking into the possibility of gaining more funding for more club members to go on this course, and potentially higher level accreditation in running fitness.